Too many California workers toil for long hours in very hot indoor environments – sometimes without access to clean water or adequate ventilation, even in the peak of summer. These workers are vulnerable to heat-related illness: health conditions that can range from heat exhaustion to deadly heat stroke. Workers in restaurants, warehouses, garment factories, and industrial laundries are particularly prone, though indoor heat hazards pose a serious risk in many other industries across the state. In 2016, Governor Jerry Brown signed SB 1167 – a bill directing Cal/OSHA to protect workers from indoor heat exposure by January 2019. Worksafe and our allies are working to encourage Cal/OSHA to adopt a strong, evidence-based standard that will protect all California workers. Worksafe strongly believes that workers most impacted by heat hazards should have the biggest say in determining details of the new standard — after all, they know what it is like to work in high heat environments without adequate protections. Unfortunately (and predictably) powerful industry players are attempting to weaken the rulemaking process behind the scenes. They claim it is too complicated to protect all workers from dangerous indoor heat hazards. We beg to differ. When workers share their personal stories of heat illness, we listen. 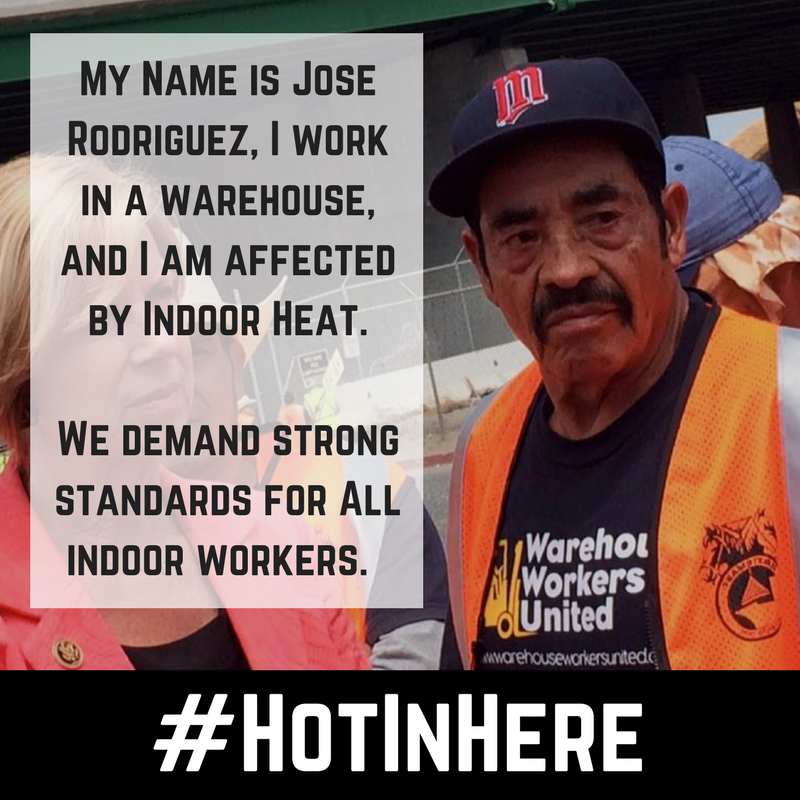 We hope that Cal/OSHA listens too and implements a new indoor heat prevention standard that is strong, worker-centered, and inclusive of all industries.